PRICE REDUCTION!!!!! 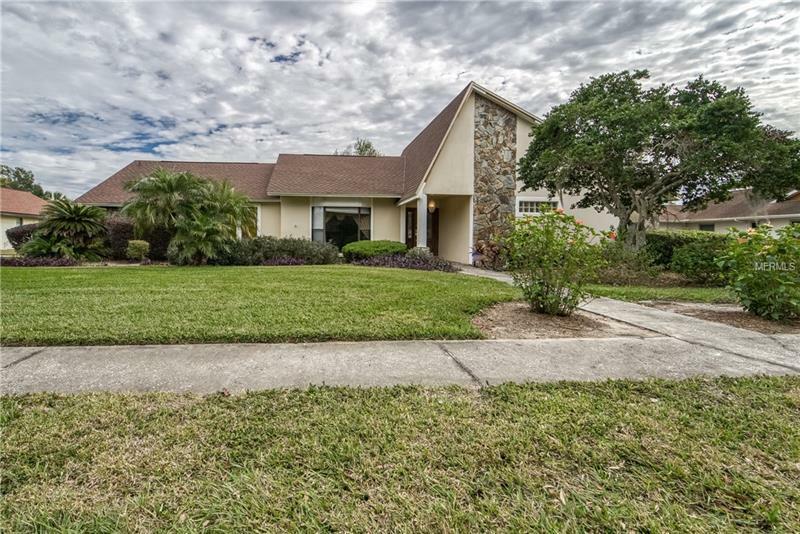 This meticulously kept 2470 Sqft home is located in the beautiful LAKE and GATED community of Hunters Cove. If looking for a POOL HOME in a BEAUTIFUL ESTABLISHED COMMUNITY, with New AC (installed January 2019), New Roof (1 year old) and has beautiful CHARM, then THIS IS IT!! This STUNNING 4/3/2 home is built for entertainment! Upon entering the home, the foyer opens to the spacious formal living room with crown & accent molding, large bay window. The adjacent formal dining room features crown & accent molding, light fixture & double windows w/accent molding. The kitchen perfect for entertaining family & friends includes stainless steel appliances, tile counters, recessed lighting, wood cabinets, pantry, 2 breakfast bars, slider window to patio, and more! The kitchen opens to the family room w/vaulted ceiling, exposed beams, stone fireplace, ceramic tile & expansive oversized sliding glass doors leading to the incredible outdoor living paradise/Pool area. Master Suite offers a huge sanctuary for relaxing. Flooded with natural light, His & Hers walk-in closets, double vanity, built-ins, jetted garden tub, separate oversized shower & skylight. Split bedroom design w/4th bedroom area that includes walk-in closet, full bath & exterior access perfect for an in-law suite! Inside utility room with wet sink. Community amenities include BEAUTIFUL swimming pool OVERLOOKING the FABULOUS Hunters Lake, tennis courts, play grounds. This home is TRULY CHARMING AND A MUST SEE!!! Pet Restrictions: Verify with HOA management company.